I'm not a good cook by any means. Thank goodness I was blessed with a husband with good genes. There were good genes that preceded me, but somehow, I didn't inherit them. Trust me. 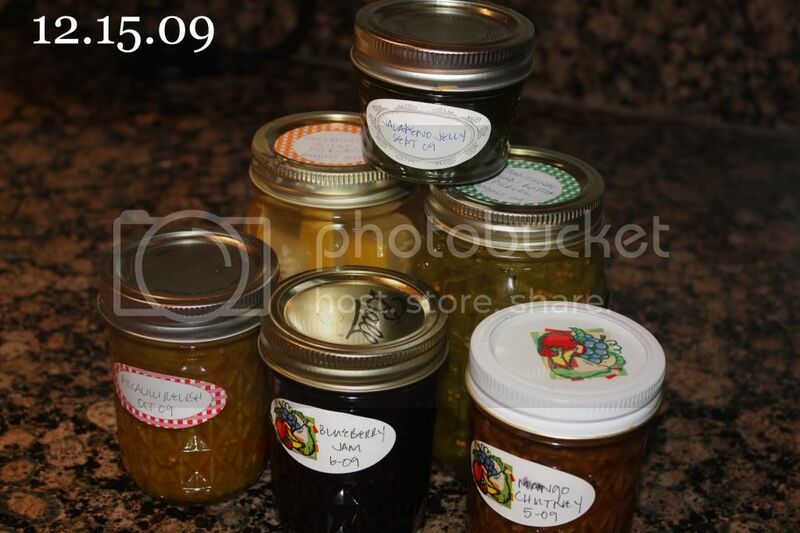 For some reason, the concept of canning food fascinates me. My girlfriend Gretchen cans a lot (she's also a big gardener) and I benefit from her talents every Christmas (nectarines in vanilla brandy over ice cream is TO DIE FOR). By the way, the super cute labels also trigger my crafty bug. My parents participate in a pickle party every summer (homemade pickles may beat the nectarines) and I bring as much back as my packed car will allow every year. Apparently it's pretty easy (or so my canning friends tell me). You just need the right tools. 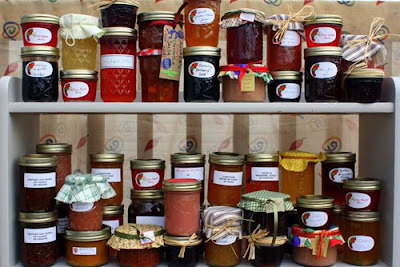 Something about a son who loves PB&J makes me want to venture into canning my own jams this summer. Apparently, when berries and other fruits are on sale in the summer you just stock up and make a big batch (strawberries and blackberries just $1/lb last week!). Simple Mom had an introduction to canning last fall. This year, I think I'll give it a try. Or at least hang out in Gretchen's kitchen while she does it. What is it about having a child that has made me all domestic?